Straw color. Aromas and flavors of nectarine, apple, and cashew brittle with a crisp, fruity light-to-medium body and a breezy finish evoking suggestions of honey and vanilla nuts with no oak flavor. A fruity, easy drinking quaffer that is sure to please. Bottom Line: A fruity, easy drinking quaffer that is sure to please. Chenin Blanc is a white wine made in numerous styles; the most famous examples are from France's Loire Valley, while there are also some notable versions from South Africa and California. Chenin Blanc has very high acidity and is often produced in an off-dry style called demi-sec. A dry style from the Loire is called Savennières. There are also sparking versions of Chenin Blanc, namely Crémant de Loire also known as Saumur. Dry versions are made by a few artisan estates in California, although a typical inexpensive California version is off-dry or lightly sweet. Steel aged with appealing citrus fruit, these wines should be drunk young and pair well with simple salads. 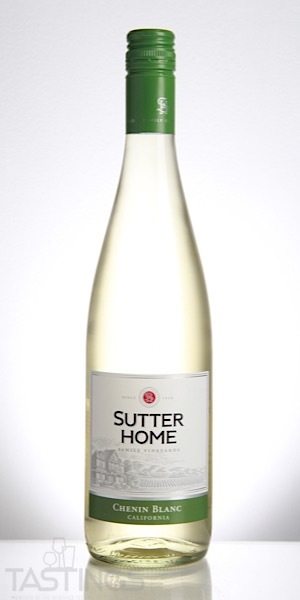 Sutter Home NV Off-Dry, Chenin Blanc, California rating was calculated by tastings.com to be 85 points out of 100 on 9/5/2018. Please note that MSRP may have changed since the date of our review.